If you are someone with insider information, you will know how the Kruger National Park, South Africa’s largest national park, nearly did not exist, as a result of the Selati railway line. See how the Selati Line goldfields project, first backfired on itself, died out, was reborn, then proceeding to change the face of tourism in the Lowveld for ever. A true African tale of wild drama. A story more suited to an Economic Europe, not the unknown wilds of Africa. But happen it did and in the end the good guys won. That is if you know who the god guys were or not we’re stuck with it. This story of intrigue and subterfuge played itself out when two French bankers deciding to build a railway to nowhere in the Bushveld, to become known as the ‘Selati Line’. The outcome and methods applied, would amaze any big modern venture for gall, size and danger, not to mention downright audacity. The bribery, death, deception and skulduggery, that followed these two bankers is almost unparalleled in Southern Africa, even to this day. Involving an entire government and the alteration of a large strategic region of the Southern continent for ever. This railway is no more… it never reached its destination and never accomplished its intended purpose. Yet it had such vast and far-reaching impacts on the Lowveld, the Second Anglo-Boer War, the Kruger National Park and even across the world. 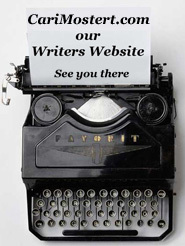 The sweepings under the rug have never been uncovered, but in this account we get a glimpse. I have for many years wanted to write this Bushveld saga, because of the amazing influences the Selati Line had on the whole Lowveld region. You be the judge after you have read the story and I invite anyone to drop me a line if you have more to add or take away. In 1892 the Selati Railway Company was a shareholding company floated in Brussels (Europe) by two noteworthy bankers of Paris namely Baron Eugene Oppenheim and his – older – brother Baron Robert Oppenheim. The number of shares and how much they were sold for, is not reported anywhere. A company was duly formed by their Franco-Belgian syndicate called ‘La Compagnie Franco-Beige du Chemin-de-fer du Nord de la Republique Sud-Africaine.’ This is translated as ‘The Franco-Belgium Railway Company of the Northern Territories of the South African Republic’ under which it established this Selati Railway Company in 1892. Then in 1893 the building of its line to the Selati River Gold Field commenced. The need for this new rail line was for transporting gold to and from the new Selati Gold Fields to the rest of the world, via Komatipoort through Mozambique, – then owned by the Portuguese – on to Delagoa Bay, the port then being Lorenzo Marques and today known as Maputo. This line was to be built from Komatipoort over the Crocodile River, then on to the Sabi River, over the Sand River, on to the Olifants River and finally the Selati Gold Fields at the Murchison Range, near the town of Leydsdorp way into the north country. Leydsdorp was named after W.J. Leyds in 1890. Leyds a young Hollander was then the State Secretary of the Transvaal Republic and a good friend of Paul Kruger (Leydsdorp is next to the Selati River, near to where Gravelot is today). At this time the Selati Line started out it’s life at the newly completed line from Komatipoort. The newly built railway line from Komatipoort to the coast at Delagoa Bay, – a distance of about 60 miles – had been completed and inaugurated by the Portuguese on the 1st July 1891. This convenience draw card became the gold not to be missed by the two French banker brothers. And so the Selati Line began. The way things dovetailed together has amazed me for a long time. This Mozambique Line was the rail line used by the Oppenheim brothers to transport even the smallest piece of equipment needed for their new venture. Komatipoort consisted of no more than a border outpost with more tents than tin shacks. To here the Oppenheim’s transported locomotives, freight cars, steel, sleepers, picks, shovels, carpentry tools, bridge building steel and believe it or not, timber as well as. The trains were also later used for the necessary food, booze and bar entertainment brought in by ship to Lorenzo Marques, from other world regions, – I’m sure you get the picture. The lines construction had been contracted out to the British company of Westwood & Winby, who built the first part of the Selati Line from Komatipoort to the Sabi Bridge – Skukuza – in 1893-4, a distance of 80 km. 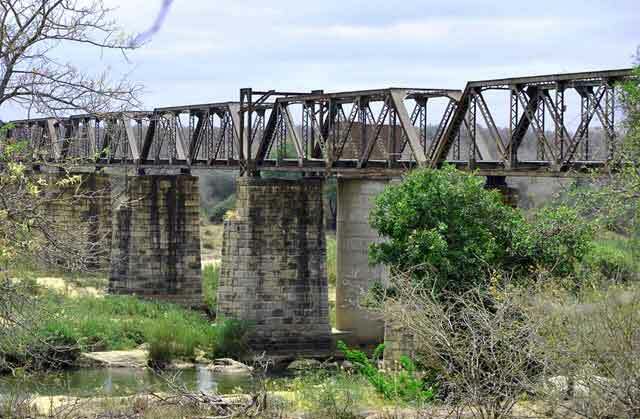 The rest of the line from Sabi Bridge to Tzaneen was completed by Pauling & Co. between 1909-12. The Oppenheim brothers had bought no less then four high quality locomotives. Two 20 ton 2-6-0T Whythes & Jackson Limited locomotives, namely the Durban and Pietermaritzburg and obtained from the Natal Railway Company. The other two 40 tonners 0-6-2T, built by Maschinenfabrik Esslingen, were obtained from the NZASM – they you will read about further on. The Selati Line was to connect to the new Transvaal Gold Fields railway line – juncture Komatipoort – which would run from Pretoria to Delagoa Bay. 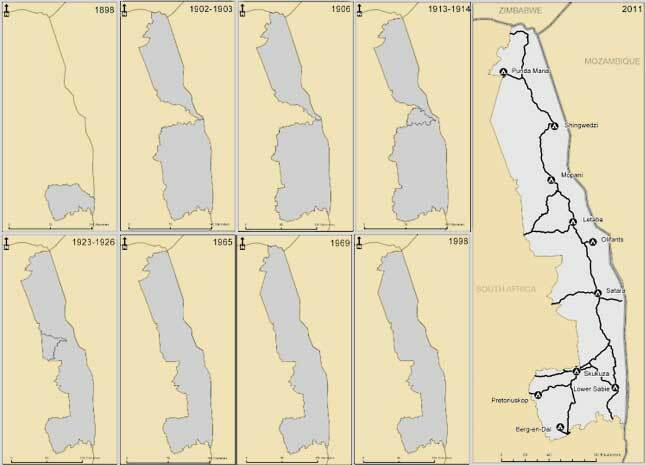 This was the line set out for transporting of goods and gold to and from the new Witwatersrand Gold Fields discovered in 1886 known as the Eastern Railway Line. The railway line above mentioned from Pretoria to Delagoa Bay had been toyed with from 1866, by the Transvaal, firstly involving a Scotsman named Mac Corkingdale who died in May 1871. Then came the British annexure of the Transvaal on 12 April 1877, through Theophilus Shepstone, which led to the 1st Anglo-Boer War. After the Boers won that war in 1881, Paul Kruger reopened railway discussions, with a Portuguese engineer named Major Joachim Jose Machado of Mozambique, to map out a line from Delagoa Bay to the land locked Pretoria. Machado was duly appointed engineer of the entire Eastern Railway Line and the town of Machadodorp was named in honour of him. At this time alternate routes to the Cape and Natal ports were out of the question because these ports were controlled by the British and their forces – then enemies of the Transvaal Republic – before and after the first Anglo-Boer war. The Eastern Railway Line had been ratified by the ‘Volksraad’ – council – of the Transvaal Republic in 1883. It was proposed the Portuguese build their own line in Mozambique, from Komatipoort to Delagoa Bay and the Transvaal in turn build their own line from Pretoria to join up at Komatipoort. An American named Edward McMurdo was given the concession for the Mozambican line in December 1883. For this work the Portuguese established the ‘East African Railway Company’, which only set to work four years later in March 1887. This is a fine how-do-you-do. Why four years, you may ask? Well, read on. This is Africa, remember? This new line under McMurdo, with a distance of 100 km – had not even arrived at the Transvaal border in 1890, having taken seven years from its inception. Unlike the 80 km Selati Line – built six years later – from Komatipoort to Sabi Bridge, which took a staggering time of less than a year to build, through the same bush country. Of course, there would be extenuating circumstances to consider. Namely, no one wanted to work on this project, because of the dangers from fever and predators. This was eventually solved by employing the famed deserter group from the British army, headed by George Hutchison, – captain moonlight – called the ‘Irish Brigade,’ who had wrecked the town of Eureka City – in the Barberton area – in 1886 and haled from the Pilgrims Rest region, who would work anywhere, except the army. After this happened, a total of 250 Europeans and over 3000 Africans were magically employed. That problem solved, they went to work, completing the line in 1888, – as they thought – until it was discovered the line was 5 ½ miles short. After a brisk, fast, court case – in Africa – lasting three years, between the Mozambique Government and McMurdo’s company, – the East African Railway Co. – the case was resolved, work was resumed and the line was completed in May 1891. As I previously said ‘taking six years’ to complete. The 370 km line from Komatipoort to Pretoria, under construction from both ends by the Transvaal Company, the Netherlands South African Railway Company – Nederlandsche-Zuid-Afrikaansche Spoorwegmaatschappi – (NZASM) was completed on 20 October 1894. This then finalised, the connection between Pretoria and the new port at Delagoa Bay and was officially opened on the 8 July 1895 by Paul Kruger as the Transvaal Republic’s Eastern Railway Line and it’s only official access to the sea. 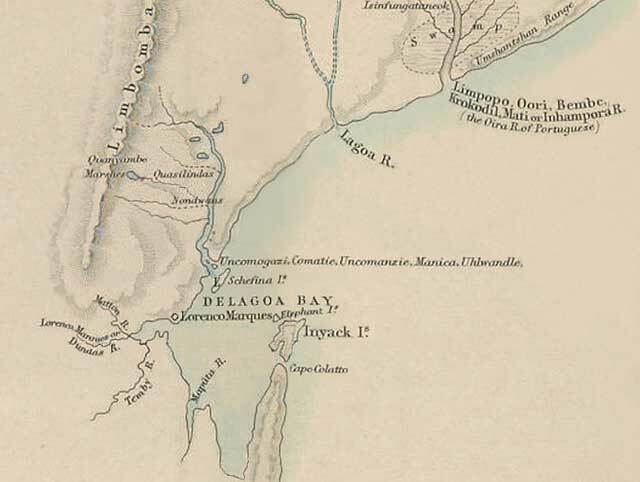 This also brought an end to the short but famed Delagoa Bay – Goldfields, transport wagon trail.